Email templates make it easy to send elegant and stylish emails that also match your corporate identity. Your designer creates the template, uploads it to SalesAutopilot and you can create your emails based on the template. 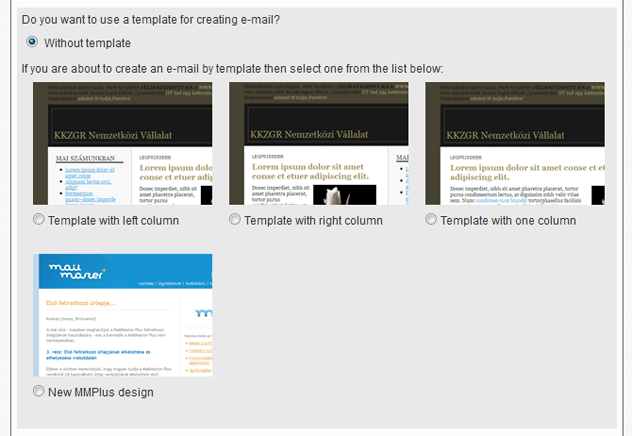 To upload a new template in the left menu click the "Settings / Managing e-mail templates" option. All SalesAutopilot accounts contain several templates by default. You can customize these or you can upload your own templates. 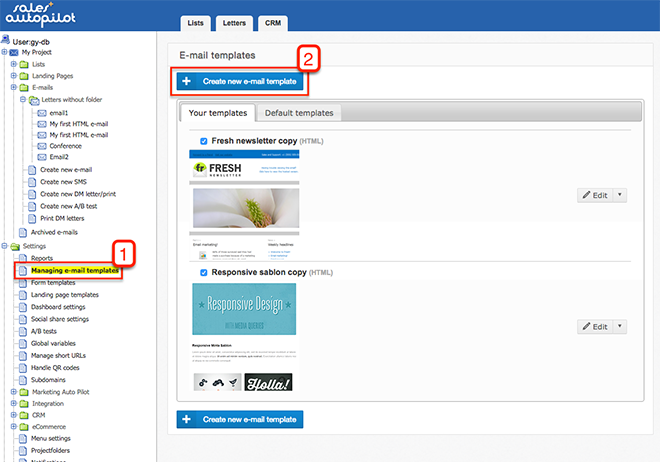 Click the "Create new email template" button at the bottom of the page. The name of the template helps you to recognize the template later so it's worth to choose an expressive name. There are two types of email templates: Plain text and HTML. You can use Plain text templates to create plain text emails, and HTML templates to create HTML emails. Copy the source code of the template into the text area or click the "Browse..." button to upload it from a file (the file has to be utf-8 encoded) . Separate the attributes with commas. After the style's parameters define CSS attributes separated with commas. The CSS attribute names should be in DOM formatted multiple-word (instead of background-color write backgroundColor). 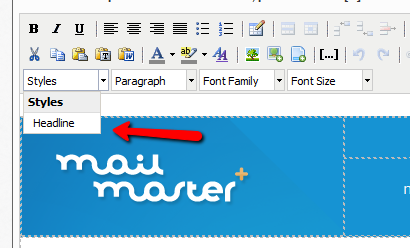 When you create an email from a template you can see the predefined styles in the HTML editor's toolbar. For HTML templates you can upload a 190x190px preview image, this will be displayed in the list of templates and in the template selector of the email creating wizard. You or your designer have to create this image. When you finished settings click the "Create email template" button. From now on you can use this template when you create emails. IMPORTANT: When you modify an email template it has no effect on the existing emails created based on that template. You can edit or delete your email templates anytime. You can copy a template to create a new one based on an existing template. In the template list click the "Duplicate" link next to the name of the template. 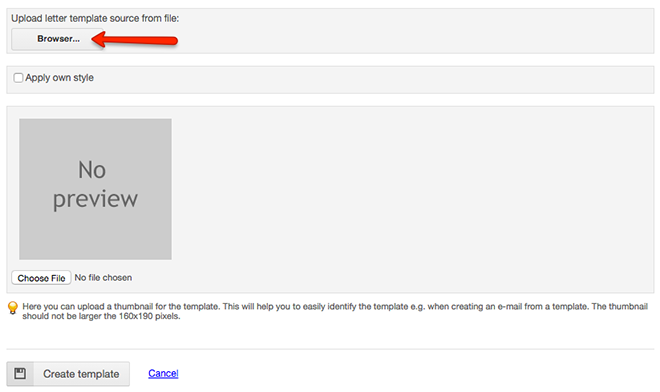 If you want to see the preview of the email template click the "Preview" link. It will open in a new window.